Discovering the Truth with Dan Duval is back! In this episode Daniel will take a few minutes to discuss the relaunch of this podcast and what is coming in the near future. Afterwards he will be joined by Doug Hamp and Rob Skiba. 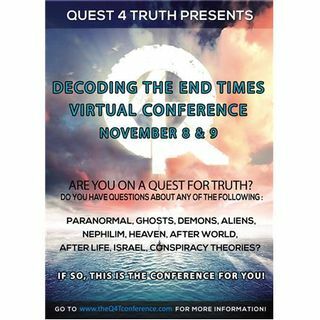 Together they will discuss the upcoming Decoding the End Times Conference which you can sign up for at www.theq4tconference.com. They will also be discussing the rapture and why they all agree, there is not going to be a pre-tribulation rapture. Then they will take time ... See More to discuss what they believe this means for the body of Christ and why they are not doom-and-gloomers. Enjoy the relaunch of Discovering the Truth with Dan Duval!